To create the pages of a mock American passport complete with a Visitors’ Visa and approved “V” Visa Stamp. The biggest challenge was the tight time frame due to the amount of people involved in the process. Elements from various government samples were used to influence this layout. This scene was complicated because there were so many actors. The Props Department had to physically build each Passport (as well as multiples because of the nature of the stamping action). Also, the Playback Department was present to create live action animation during the process. Therefore, all elements had to be completed in advance of the actual scene shot. 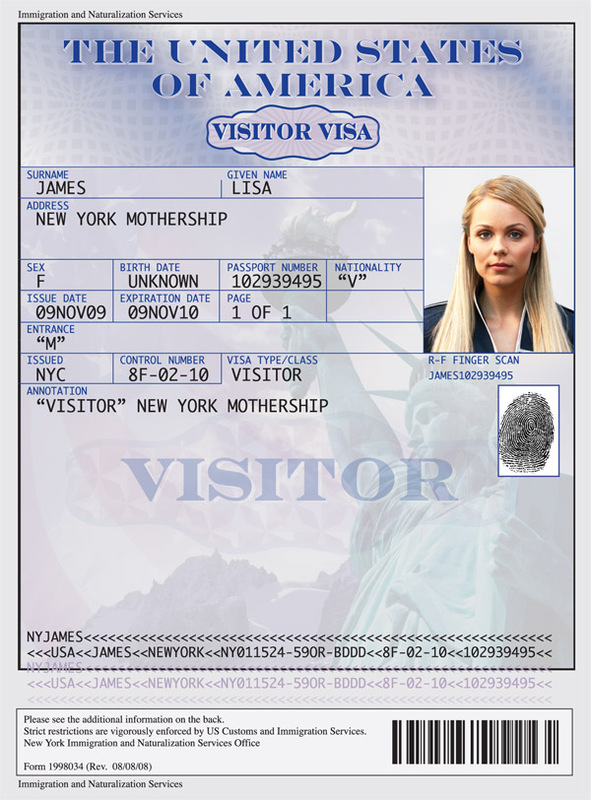 This successful mock Visitor Passport was created for a hero prop for the ABC television series “V” Season I.